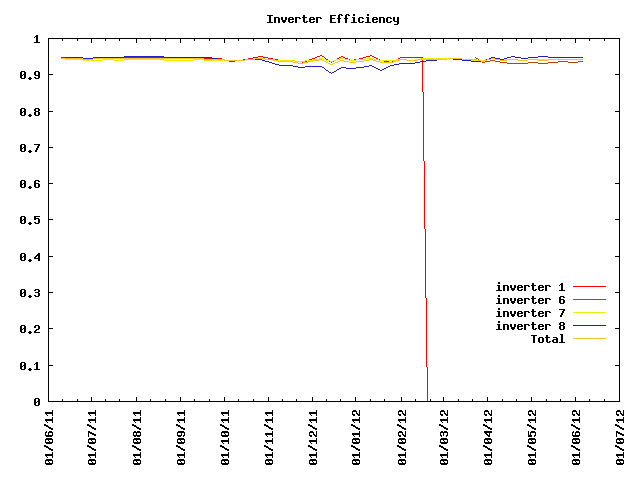 We are now running on solar! 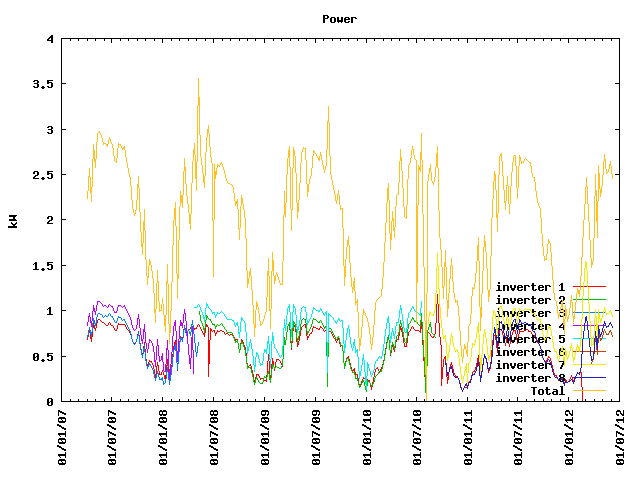 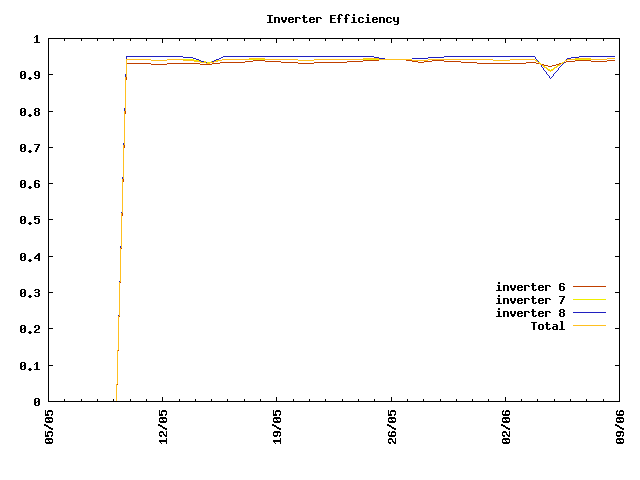 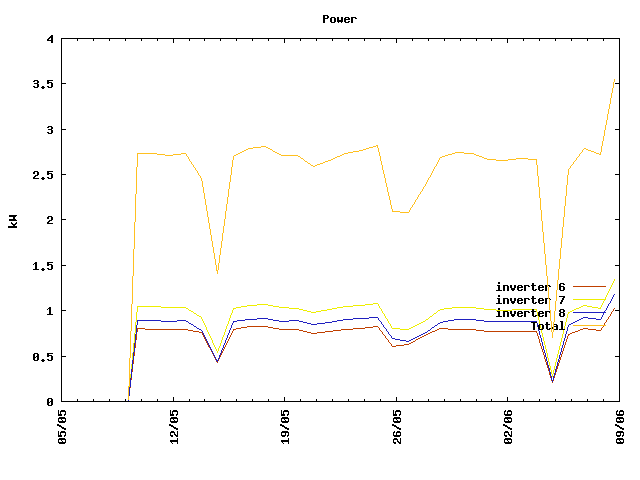 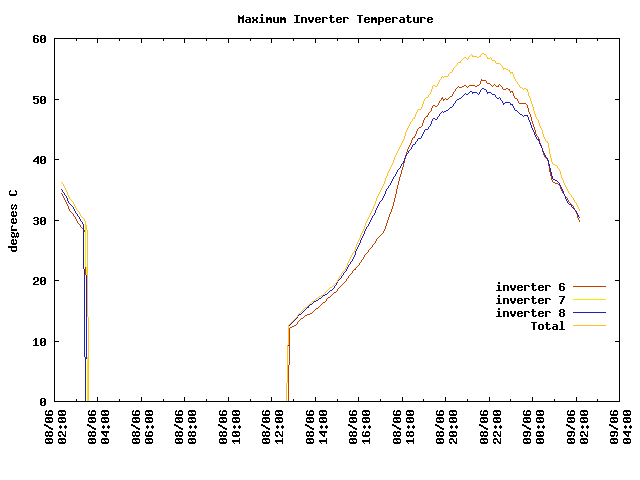 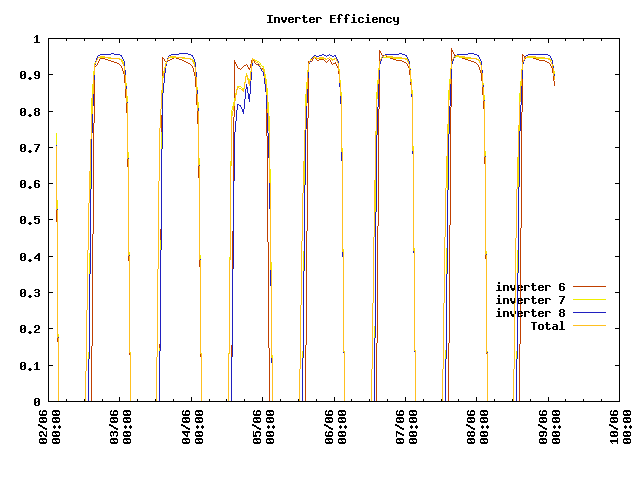 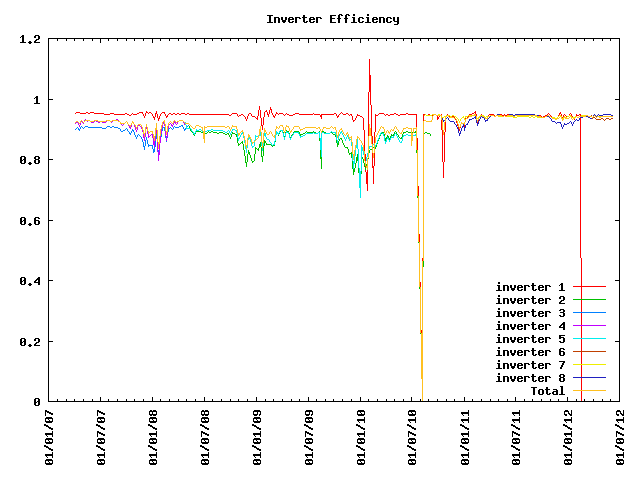 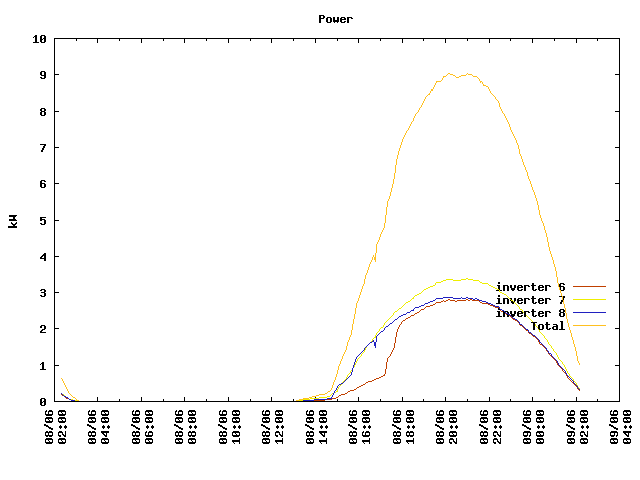 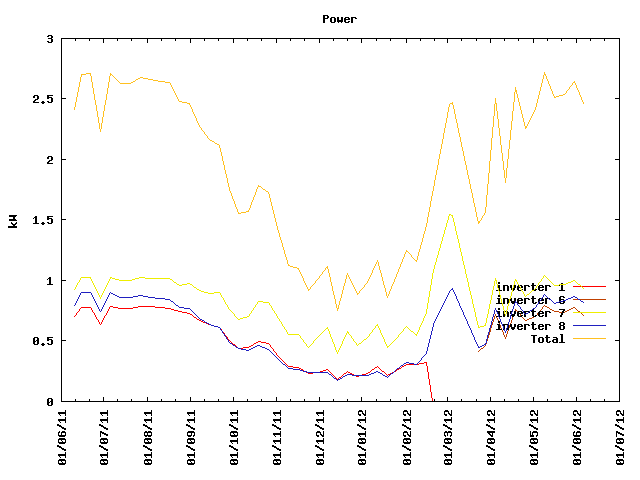 We have 57 Sanyo HIP-195BA3 panels and 3 Xantrex GT3.8-NA-DS-240 inverters, for a total of an 11,115 W (nominal) system. 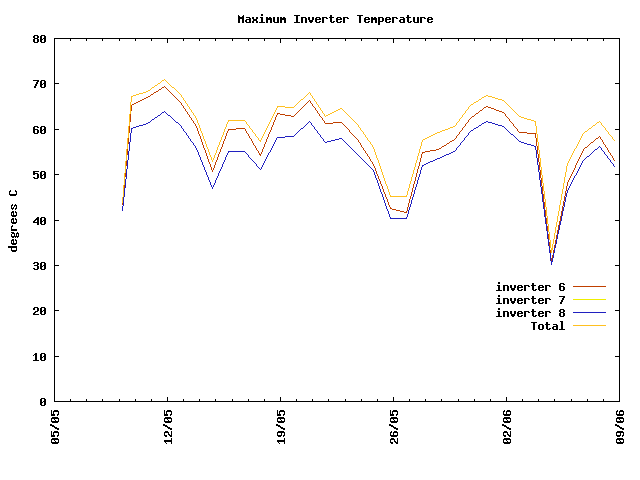 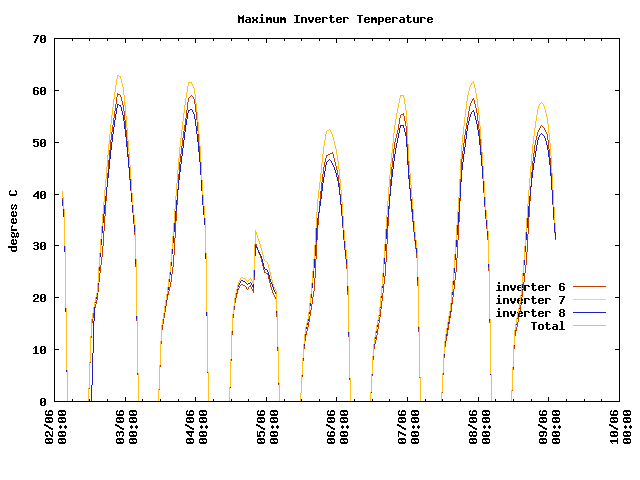 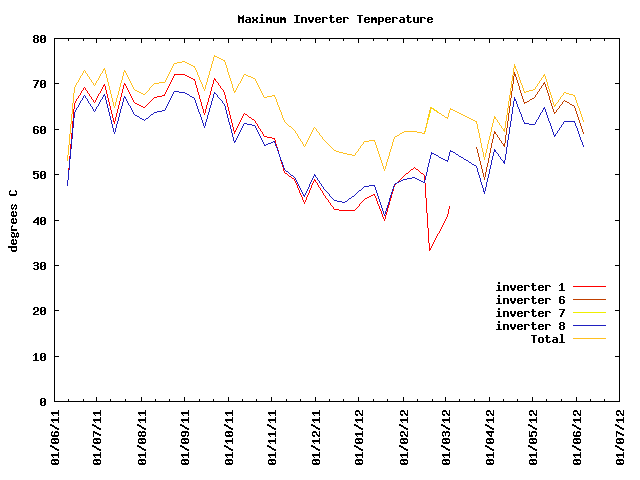 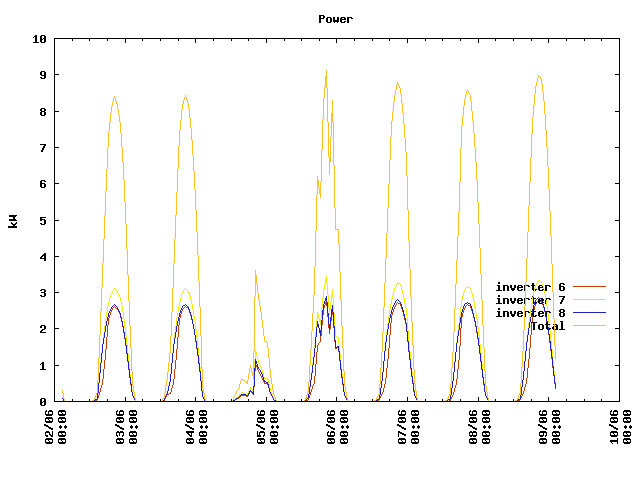 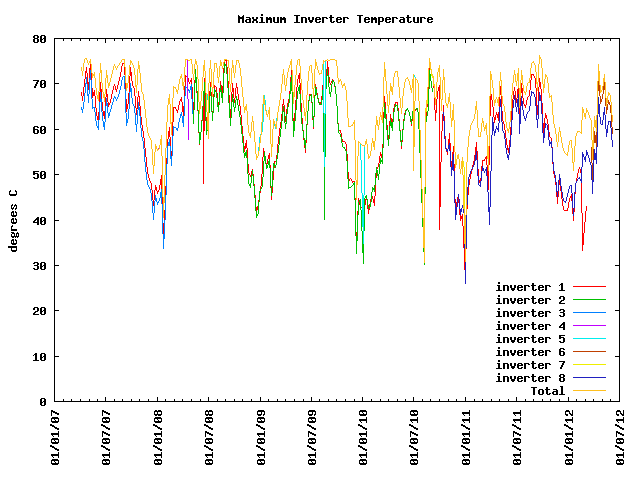 If you'd like to set up this solar monitoring yourself, I have some instructions.